Garance started her career as a management consultant after studying Business Administration, but found herself longing for more creativity. With CareerFoundry's help, she has finally found her calling in product design. Our latest career-change story comes from Garance Rey, a Parisian UX/UI designer now working in San Francisco. After graduating with a master’s in Business Administration, she started her career as a management consultant — a role that saw her collaborating with designers on a regular basis. The more she worked with these creative teams, the more her curiosity grew. She found herself inspired by their methods and drawn to the diversity of their day-to-day work. Garance eventually made the decision to hone her design skills, and so began her journey with CareerFoundry. Pre-CareerFoundry, Garance had been working at Vungle, a performance marketing startup. In her role as account manager, she was primarily responsible for nurturing strategic partnerships and making data-driven recommendations for campaign optimization. 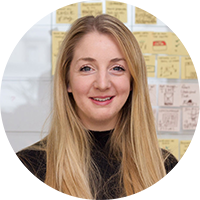 However, what she really wanted was to be more involved in the creative side of product development — but how does one go from such a strategic role to getting hands-on with design? Garance knew she had to start by mastering fundamental design skills, and was keen to do this flexibly alongside her day job. 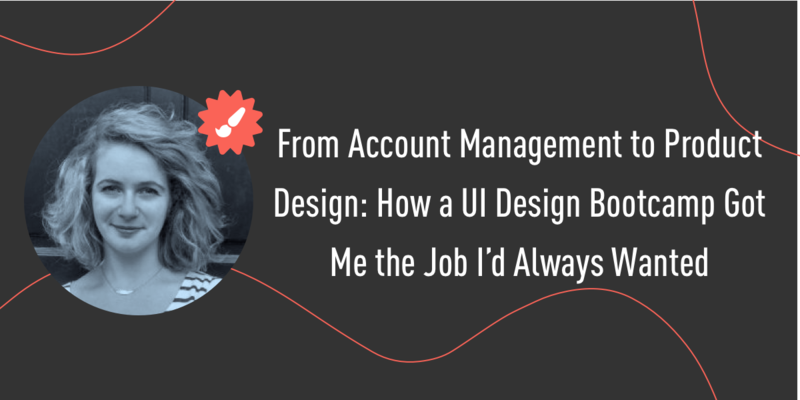 She was also interested in both UX and UI, and bravely decided to tackle both at the same time. Needless to say, Garance had her hands full. As is often the case, her desire to change careers kept her on track — as did her mentor. At the same time, the project-based structure of the course enables students to monitor their progress throughout, which can prove key to keeping the momentum going. Upon completion of the course, Garance felt confident that she’d built a solid foundation of technical knowledge that she could apply to real-world tasks. She polished her portfolio, worked on side projects and busied herself applying for jobs. Her hard work paid off: a year on, Garance has well and truly made her move into the design industry. Post-graduation, she secured her first job as a UX/UI designer — an experience she describes as highly rewarding — and then went on to land a product design role. Currently working as a product designer in San Francisco, Garance is exactly where she set out to be. Despite not having an ounce of previous design experience, she threw herself into the course and pursued the career that she knew would make her happy. Garance’s story just goes to show that you don’t need an art degree or a long history in the design industry. Anyone can pursue a more fulfilling career, and although it takes time, courage, and a lot of hard work, it’s almost always worth it!